This complex of buildings set around a central courtyard is one of the most important historical sites in Poland, and sits on the banks of the Vistula River. The site was once home to the Head of State, and laterally, the German Governor, while Poland was under Nazi occupation. These days, it's a museum and art conservatory and also has a really sweet Cafe onsite. You can visit the Royal Castle museum, Wawel Cathedral, and its extensive collections and one-off exhibitions throughout the year. The last time I visited the city, this museum was still in the process of being set up, so there wasn't nearly as many exhibits on display as there is now. What is now a museum is housed in the original enamel factory owned and run by Schindler and is part tribute to the man and his legacy, and part reminder of just how life was for the city's Jewish population under 5 years of Nazi rule. Given Krakow's history, there is a lot to see here that relates to the Nazis and their treatment of the city's huge Jewish population. The site of Tadeusz Pankiewicz's pharmacy in the Podogrze is no exception. Pankiewicz and his employees were permitted entry to the ghetto to run the business but, behind the scenes and away from prying Nazi eyes, the team risked their lives to help the Jewish population to survive, and even to escape deportation to the death camps. The site is now a museum and documents the exceptional chances the Pharmacist and his staff took in order to help out their fellow Poles. This area has been the heart of the Jewish Quarter in Krakow for hundreds of years and the traditions that were destroyed during the Holocaust have slowly returned and now thrive again. The traditional Jewish food here is fantastic and having the chance to walk around before enjoying some of its delights is a great way to spend an afternoon or evening. Try out Kolanko No 6 for authentic Polish crepes; Szalom for the best falafel in town, Kuchnia u Doroty for beetroot soup, home made stews, and beef tongue. No trip is complete without a visit to the city's main square, which is one of the oldest in Europe; dating back to the 1300s. Standing proudly in the middle of the square is the iconic Cloth Hall; a massive Renaissance style market, which has been listed as a UNESCO World Heritage site for as long as I've been alive. Suffice to say, it's getting on a bit. The upper level of the hall serves as a museum, while the lower area still holds a plethora of market stalls selling a massive range of goods. While this is a fantastic sight at any time of the day, when lit up at night; it's truly breathtaking. OK, so the Nazi death camp isn't actually in Krakow, but it is only 70k outside the city and it's exceptionally easy to find transport to take you there. A tour is recommended on the site as it will really help you gain an understanding of just how inhumane the camps were as you're guided around the entire expanse and introduced the sheers horror that it continues to instil. If you're easily upset, it might not be for you, but I think it should be mandatory to visit to pay your respects to the thousands of people who lost their lives or were held there. It's a chilling expanse where everything is silent and no birds sing or flowers seem to grow. The horror of seeing train tracks that don't go anywhere might be the most haunting thing I've ever seen. 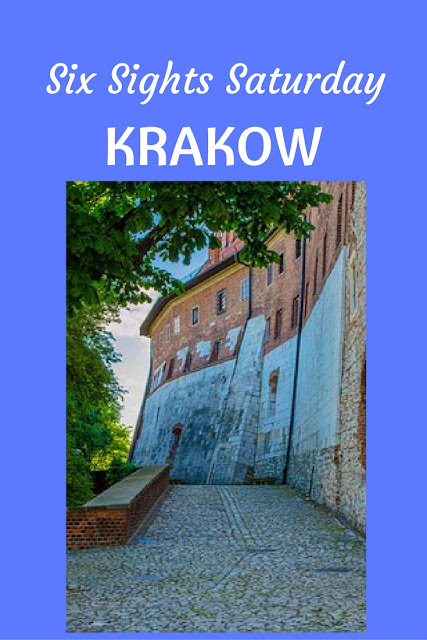 Do you have any other must see sights in Krakow?